The burden of neurodegenerative disease has evidently increased in our ageing population – Alzheimer’s disease is set to double every 20 years. A safe and cost-effective strategy may be provided by simple lifestyle alterations such as diet intervention. Dietary flavonoids in particular have been proposed as having beneficial effects against the mechanisms underlying neurodegeneration. Flavonoids are commonly found in fruit and vegetables, with berries being especially flavonoid-rich. Higher flavonoid intake has been associated with better cognitive and memory function in middle-aged adults and decreased non-pathological age-related cognitive decline in later life. Similar studies demonstrating the benefit of flavonoids on the physiological and cognitive brain functionality indicate that increased flavonoid intake could curtail or even reverse age-related cognitive decline. This has led to greater focus being given to the potential benefits of flavonoids on pathological neurodegeneration such as dementia. Indeed, a large cohort study indicated that increasing consumption of flavonoid-rich foods was associated with a significantly lower dementia risk in adults aged 65 or over. The positive effects of flavonoids here are evident, but little is known about the mechanisms underlying their beneficial powers, so how exactly could flavonoids have neuroprotective effects? The general health benefits of flavonoids have been suggested to reach far and wide, and that includes lowering blood pressure and improving appropriate arterial dilation. Vascular health is vital to the brain, where cerebral blood flow needs to be maintained for proper cognitive function. Findings indicate that flavonoids can improve vascular blood flow in the brain. For instance, brain imaging demonstrated that flavonoid-rich cocoa can significantly improve cerebral blood flow when healthy older adults were given cognitive tasks. Another significant benefit of enhanced brain vascular function is the formation of new neurons, particularly in the hippocampus – the brain’s memory centre. Therefore, flavonoids have the potential to not only slow cognitive decline in those with pathological neurodegeneration, but they could even reverse it too. Chronically raised levels of pro-inflammatory proteins such as tumour necrosis factor alpha (TNF-α) can cause neuronal injury, and overexpressed TNF- α has in fact been found in affected neural areas of those with Alzheimer’s disease. Furthermore, increased serum levels of the inflammatory marker C-reactive protein is associated with memory impairment and a higher chance of dementia onset. Flavonoids have the potential to exert various anti-inflammatory effects, like inhibiting the activation of inflammatory cytokines in the brain. Laboratory findings report that some flavonoids can inhibit TNF- α release, with human studies indicating a flavonoid-rich diet to be associated with decreased levels of inflammatory biomarkers. More studies are required to further establish the anti-inflammatory effects of flavonoids however. Alzheimer’s disease is pathologically characterised by the increased production of beta-amyloid, resulting in the deposition of toxic amyloid plaques outside neurons. 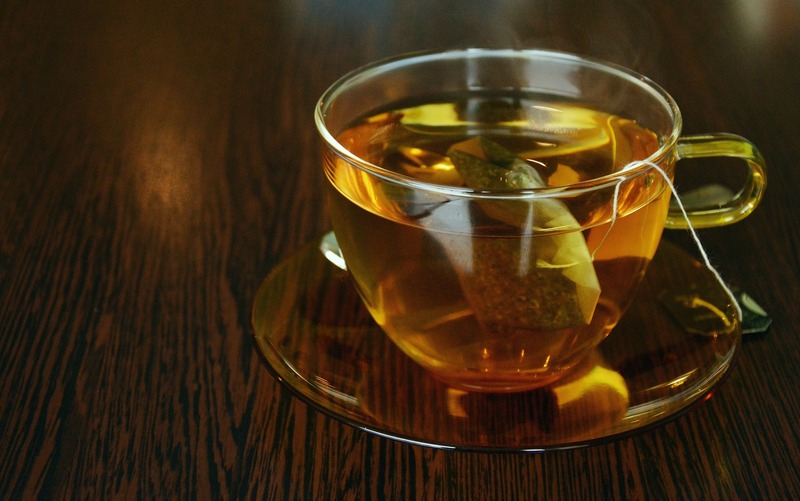 Among other relevant findings in favour of flavonoids, catechin, a flavonoid found in tea, was found to reduce cognitive decline and the levels of beta-amyloid in a mouse model of Alzheimer’s disease. Improvement in cognitive function is not always accompanied by a change in pathological features, so it is not known whether flavonoids have a direct impact on beta-amyloid. Regardless, a theory suggests that flavonoids could prevent amyloid plaque formation by inhibiting amyloid aggregation and fibrillisation. A lot of attention has rightly been given to the importance of the microbiota and its influence on human health. Flavonoids arrive at the stomach and intestine in high concentrations where they effect the gastrointestinal tract though interactions with the microbiota. In the gut, flavonoids can promote the growth of beneficial bacteria, and suppress harmful strains. Moreover, when flavonoids are broken down by the microbiota, the metabolites can enter the bloodstream and exert systemic health benefits. For example, research suggests that the metabolites of a certain flavonoid (anthocyanins) could thwart the initial stages of atherosclerosis or even interfere with aforementioned beta-amyloid protein assembly. This is a perfect example of a theory I discussed in a previous article – the gut-brain axis. Several human trials have provided a strong argument for a higher flavonoid intake reducing the risk of Alzheimer’s disease, and there is promising evidence for how flavonoids may exert their beneficial effects. Regarding the latter however, conclusions from some studies need to be taken with care as certain in vitro experiments concern flavonoid concentrations that could never be achieved from dietary consumption. Nevertheless, the flavonoid story is gathering in many areas at a rapid rate, and I look forward to seeing how it continually unfolds. Showering or bathing for better health? The berries are delicious and possibly beneficial. Do they cross the blood-brain barrier?